That's assuming the app wants to behave, of course. Microsoft doubled down on productivity when designing the Lumia 950, and on Thursday, it threw more chips on the table: If you own either a 950 or a 950XL, chances are that you can get a free year of Office 365 Personal. Microsoft made the offer available to current owners of both phones, as well as those who plan to buy one in the future. Normally, a one-year subscription to Office 365 Personal costs $70. But if you live in the approved regions—the United States, the United Kingdom, Germany, France, Denmark, Finland, Norway, and Sweden—you’ll receive it for free. Here’s how to get it: Download the Lumia Offers app from the Windows Store, if you don’t have it already. 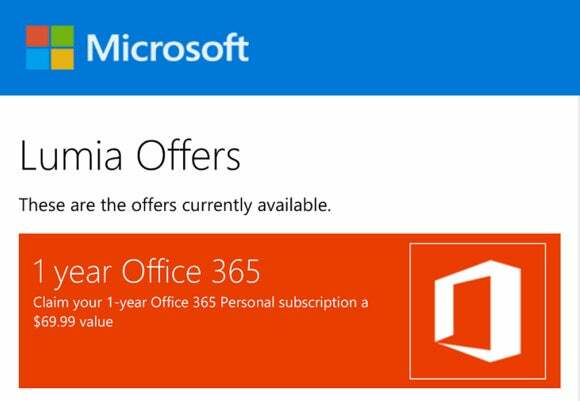 Open it, and you should see an offer for a year’s worth of Office 365 in the app. If you click the icon, Microsoft will offer to send you an email with the Office 365 code inside. You’ll need to take advantage of the offer by June. 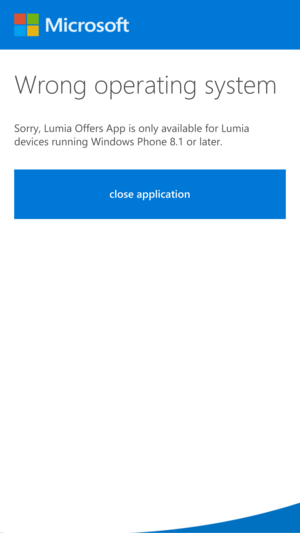 The error message I received when trying to access the Lumia Offers app on a Lumia 950. Note, however, that I say “should see,” because we received this bittersweet error message when we tried to check out whether it works or not. (I downloaded the app just a few minutes ago, so I’m sure I have the most recent version.) After receiving that message, the app advised me to exit and try it again. When I tried it again, I received a number of error messages. Microsoft wasn’t immediately available for comment. Microsoft has previously offered a free year of Office 365 Personal for people who purchased a Lumia 640 or Lumia 640XL. Obviously, once that subscription expires, Microsoft hopes to convince you to remain a customer, signing up for additional years. What makes this deal especially sweet is that if you buy a $649 unlocked Lumia 950XL at the Microsoft Store, Microsoft will throw in a free Display Dock as well until Jan. 31, or until supplies run out. It’s a nice deal: connect your phone to the Display Dock, enable the Continuum technology, and work on Office documents from your phone, all powered by an Office 365 subscription.